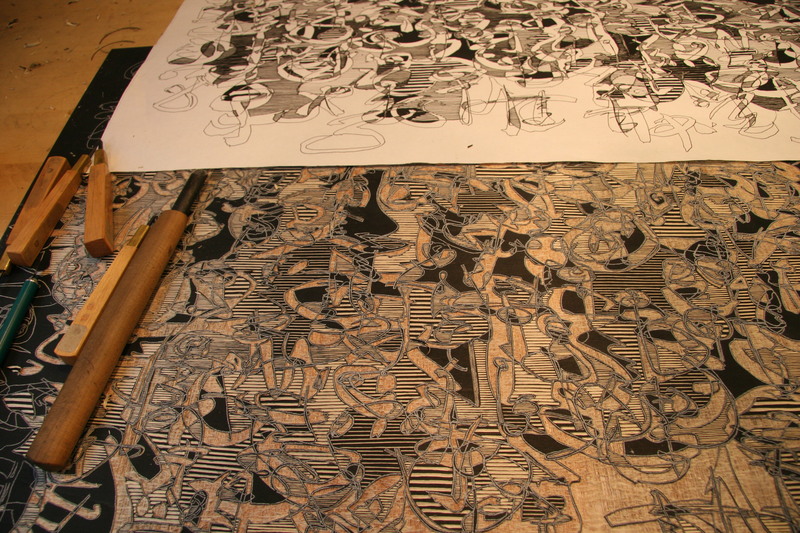 My woodcuts have developed into a complicated matrix of legible and indecipherable glyphs, scripts and symbols. Through the graphic marks and highly contrasting patterns inherent to the woodcut medium, I have been able to describe my subject in an animated, dramatic, insightful and technically meticulous way. My prints have moved in a number of different directions through its serial development, with the visual images and concepts used in its making continuing to play an interchangeable role throughout my work.